On this page I thought about collecting the books I read relevant to the topic of this site. There is also my little judgment. I have to confess that the Commodore brand has never particularly impressed me, my favorite brand I imagine you have already understood it by looking at its "frequency" on this same page, so buying this book was somewhat uncertain. I read it during the holidays and it's really a good book, so my advice is: read it! 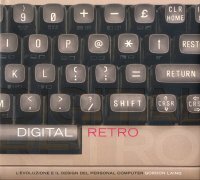 Written very well and widely as a trademark involved, it runs the whole Commodore story through all the people who throughout its history have collaborated on its success and bankruptcy. Jack Tramiel is definitely the most important character and I finally made my own opinion on this historical figure and how all the big ones have been hated or loved by madness, no middle ground. Aside from some stories to be verified, such that Woz would not be the sole creator of Apple II, the image that in the end I was left with the Commodore is the one of a little company put together, in short, not really a jewel, has had a lot of luck to have fantastic technicians and find themselves in a period of great heartiness and demand for home computers. Beautiful, beautiful and still beautiful. The story of a Macintosh told by one of the creators can not be interesting or interesting to one like me. 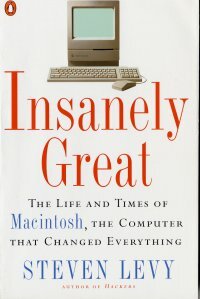 A good book, consisting of a collection of stories or articles that run to cover all the phases of the Macintosh project, from the first idea, through the clash with Lisa and until its realization. In the Jobs book it is very present, with its difficult character but always admired, while the legendary Woz is just like the mythical, almost legendary figure. The team that participated in the project is really small, and Jef Raskin's part is greatly resized, while others, completely unknown to me, are brought to the forefront, such as Susan Care, who deals with icon design. There are also some beautiful photos, beautiful above all the notes that make up the background and appear here and there. Buffo, I took the book on Amazon, the package is usually come from Germany and the book is printed in Italy. Finally, the legendary Woz decided to write a book about his adventure. To hear him he has had a lot of fun, but everything he decides to do seems just to have fun. Beautiful philosophy of life. A real wizard of electronics, almost a genius, seeing that before Apple I had designed or re-designed several computers. For the Apple project it seems to me that it's been enough for two months! Before reading the book I had an idea about Woz, great skills and little interest in money. Just read a few passages in the book to confirm my ideas, for example, tells how Jobs had "frustrated" in the Breakout project for Atari or where he describes the pleasure of being able to work for HP. Unfortunately in the book Woz denying the legend of the famous garage, instead explains how they both worked at home and only very little use the garage, the sin was so beautiful this story. A text that really goes through the history of digital machines, a story that fascinates me and so also this book gets a positive opinion. Even though my personal interest is more about personal computers, the book is interesting even in times that are far more distant both as time and as a passion. Despite all the books I have read, I have learned new things and then it is always fascinating to interpret history and to follow the evolution of choices perhaps at that time considered to be correct and reasonable and which instead lead to real disasters, in this case fortunately only economic. The only fault is the price. 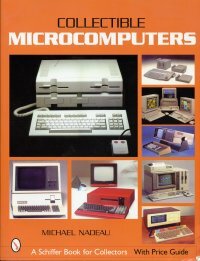 This book really tells the beauty of vintage computing, so not just the history of personal computers, but also the particular moment of ferment and creativity that characterized the 80s. He then recounts that multitude of models that are totally incompatible with each other, those producers who were releasing new models to replace the former, which was obviously incompatible. The photos are beautiful, great and in color. The photos are not vintage but they have beautifully preserved patterns, which certainly make their owners proud. So we find a slightly yellowed Mac Plus and a PET 2001 with some rust points, but that's why, for these small bugs, they are even more beautiful. Titolo originale: In search of stupidity: over 20 years of high-tech marketing disasters. 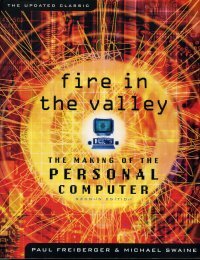 This book tells about all the "disasters" that happened in the world of computer science. If you've ever wondered why Microsoft Word has supplanted WordStar or because Microsoft Excel has tarnished the famous Lotus 1-2-3, this is the right book. The cases told are then many others, and all described in a dynamic and fun way. The author is not any, he is not the classic writer who interprets from the outside and describes something in the background, no author was in the marketing and has lived in person some of the things described. This is a real guide, there are over 640 computer data sheets, and the history of the most well-known companies, but there is also a lack of knowledge of less well-known societies. The current computer listing (for the US market) is also shown. Many photos, really many, all in black and white, the only colors in the covers. Really nice text, full if not full of color photos. If you want to see in the face the programmers who have made the video games that have passionate you, this is the book for you. A book devoted to fans of the genre, I find it uncomfortable and annoying the choice of inserting small "interviews" inside the text. A book that a retrocomputing enthusiast can not read all about a breath. Very beautifull. 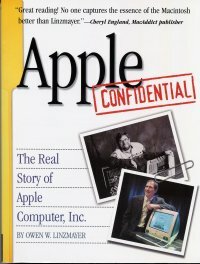 "Apple Confidential - The real story of Apple Computer Inc." di Owen W. Linzmayer - No Starch press. The story of the company that made the story, surely read. The book covers the entire Apple Macintosh story through the people who participated in the project. 05-05-00 "Bill Gates. Una biografia non autorizzata." 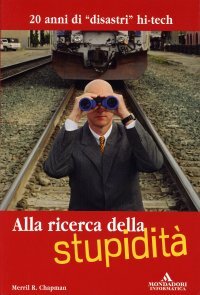 di Riccardo Stagliano' Feltrinelli 2000. The biography of the richest man in the world can not be interesting, regardless of his personal judgment. The part that's most passionate about me is obviously the initial one, let's say that "historical". Bill's first steps in the IT world, the encounter with Ed Roberts's Altair, and the time that marked the history of computer science: his encounter with the IBM giant. You also try to describe Bill's human side, but I'm more of a gossip than I do, but at the end of the book everyone will make their own conclusions about this character. In the second part of the text all the legal problems of Mr Gates are told to the day's well known to everyone. To read. 30-10-99 "Dall'abaco al calcolatore elettronico. 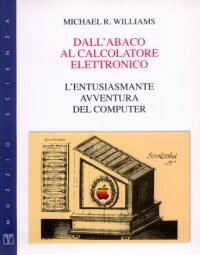 L'entusiasmante avventura del computer." di Michael R. Williams Muzzio Scienza 1989. 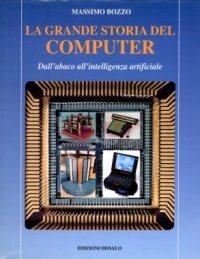 Titolo originale "A history of computing technology". Great text. Do not be fooled by the cover where it shows whether the Apple logo, the period taken into consideration by the text ranges from 6000 ac to 1968. So if you are interesting to the most recent part of computer history you may be disappointed. If you are fascinated by the Babbage machine or you want to understand today's machines looking at yesterday's, it's the text that's right for you. You will find few photographs, all in black and white, but many designs, just because the first works are being analyzed to automate the calculation. The part I most liked was definitely the one dedicated to Babbage. Where you can appreciate a detailed analysis of your project and a rich set of drawings. 10-08-99 "La grande storia del computer." di Massimo Bozzo Edizioni Dedalo 1996. More than a book, an encyclopedia. This is the only defect, in fact, with this structure, it needs some reading. For the rest nothing to plead, complete both as a period taken into account and in the amplitude of the topics discussed, pity for the photos a bit too small for my liking. Judgment is, however, surely positive. A really boring book, I struggled to get to the end. Right at the end I found half an interesting page where Mitchell Kapor briefly describes the birth and growth of Lotus. For the rest, mah! 20-05-99 "Hackers. Gli eroi della rivoluzione informatica." 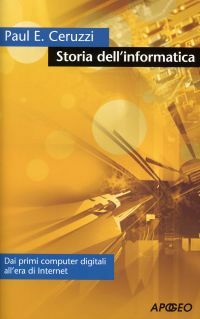 di Steven Levy Edizioni Shake 1996. 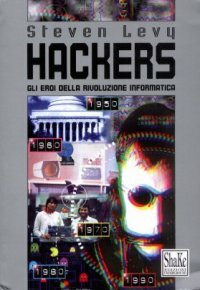 Titolo originale "Hackers. Heroes of the computer revolution." If you are interested in the history of personal computers, this is one of those books that you read all about. What I liked most was the order in which all the events were presented so that I could have an overview of the story. I learned a lot of things, I met characters I did not know about history and even the name. The things that surprised me were: aversion to important names such as IBM and Atari, and the lack of citation instead of others such as Commodore and IMSAI. The book covers the late 1960s until 1984, and there is a short appendix that goes up until 1994. Levy identifies three types of hackers distributed over time: the first, the pioneering one, is made up of real Their own genes can not only low-level programming, but make hardware changes to achieve their goals, but because of their skill they are a closed group, only the best ones can be part of it. The second, and that's what I like the most, is made up of hardware hackers. We are in the mid 70's, now microprocessors are available to everyone, and these characters assembled their computers, initially for themselves to do a business. In this group there are the various Wozniak (my myth), Felsenstein, Roberts, Jobs and many others. It is from this group that Apple and Altair are born. Feature of this new type of hackers is the free exchange of information, who has designed something interesting and is ready to explain it and spread it to others. These will also be the latest hackers to sneak on hardware, in fact, in the early 1980s, the third type of hacker, the software hacker, was born. We are in full boom, and the most popular software is videogames. The figure of the programmaker-video game artist is outlined, and writing successful games becomes millionaire (in dollars), characteristic of these hackers is their very young age. But when we are in the money, there is no more free exchange of information, something breaks, we fight. Some of the house-born software is still alive today, although today's everything has changed in video game development, you just have to compare Frogger's complexity with any modern video game to realize it. An incomplete text but for the part it deals with is really exceptional. Interesting journey into the modulated (backward) Italian world. At some moments a bit heavy for my tastes when it comes to laws and legends that try to control this world as unstable as computer science in general. I particularly liked the stories of our hackers and the descriptions of some exploited bugs to enter the various systems. It's unbalanced to the UNIX world, so NT's really little talk about it. I have to admit, however, that it made me realize I was a hacker, just did not know it. In the late 1984, with my lovely Apple // and a 300-baud modem dated 1971, with no LEDs, but with a nice indicator telling me when there was a carrier and a nice switch to turn to hook up, I was also exchanging passwords for NUA for Itapac or Videotel, but not because I was looking for them, but simply because they were almost "public" to everyone's disposition. Anyway an interesting book for which I recommend reading it. 20-01-99 "Il popolo del joystick. Come i videogiochi hanno mangiato le nostre vite" di J.C. Herz Feltrinelli Collana Interzone 1998. Titolo originale "Joystick nation;how videogames ate our quarters, won our hearts and rewired our minds". 1997. 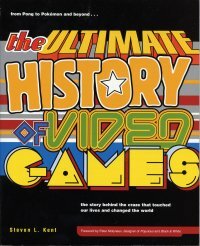 An interesting book about the history of video games, so it is definitely advisable for retrogamers. 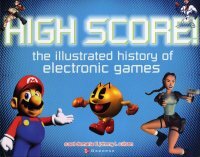 Particularity of the book is just not to be an "encyclopaedia" on the subject, there is a list of events that make up the skeleton of the short story of video games, but the part I find most interesting is that Which occupies most of the text. In practice, you will find a so precise breakdown of the company that produced both video games and video games that it almost disturbs. Then there are anecdotes and other cosines, other shades that it is a pleasure to read them. 15-12-98 "La storia del futuro. Le origini di Internet" di Katie Hafner e Matthew Lyon Feltrinelli Collana Interzone 1998. Titolo originale "Where wizards stay up late. The origins of the Internet". I found it decisively interesting and definitely advisable. If you wondered what was born "The Net," and if you do not content with "gossip" in this book you will find the true story told by those who did it. Try to imagine such a situation: we are in the early 1960s, computers are mastodontic difficult to program and maintain and above all they are absolutely incompatible with each other. In such a situation there are those who start to feel the need to share these computers, among other things very expensive, who is inviting a "packet data transmission" protocol using common telephone lines, Imagine this nothing, even have to invent the term "protocol". You will also find those curiosities that make a book something special. For example, we see that email was generated thanks to "hackers", we also read that as all the novelties the network was long-countered and not considered, and how the "@" symbol was chosen to separate the domain name from the domain and -mail. On the latter, a long, "software warfare" war broke out to define its standards. We also find the name of the one who proposed the use of "gossip" in messages :-) , and also the controversy that triggered this fact in the first virtual community. However it is funny that everything was done by a small company and that the project was followed by the most diverse characters, there is a soap vendor, a psychoanalyst a physicist and others. 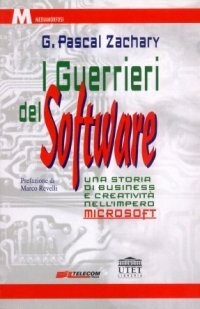 01-11-98 "I guerrieri del software. Una storia di business e creatività nell'impero Microsoft" di G. Pascal Zachery Utet 1998. Titolo originale "Showstopper! The breakneck race to create Windows NT and the next generation at Microsoft" 1994. Even this book if you are interested in the brief history of computer science is surely to be read. It tells the beginning of the end of the realization of Windows NT. I must confess that the name Microsoft has become less and less appealing in recent times, but this book has the great merit of making it more human, and therefore more sympathetic to my eyes, Windows NT with which I litigate and work all day. 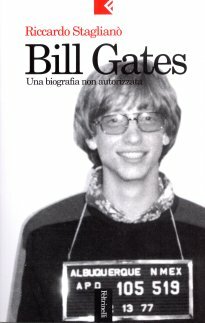 In fact, each character is given a short biography so that we can get an idea of ​​each one, the advantages and disadvantages are highlighted, and Mr. Bill Gates comes out with a more humane and less genius image of the computer. 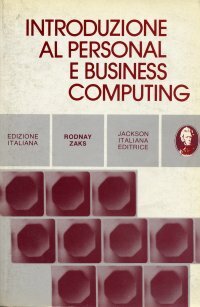 I also quote the first computer textbook I purchased in 1979 to understand something about " Personal and Business Computing " by Rodnay Zacks Jackson 1979. It is on this text that I learned what was RAM and ROM, which was once mentioned in advertising messages, while today it is absolutely ignored.